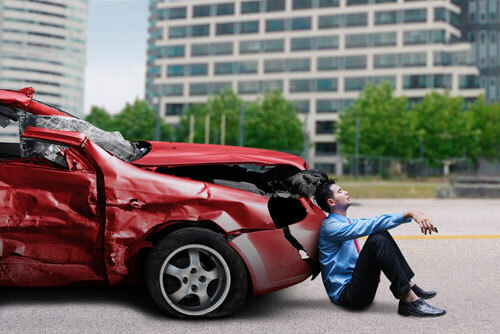 Auto accidents can occur at any time. When you enter a roadway in your car or truck, you are traveling with vehicles of all sizes, with many in poor mechanical condition. It’s impossible to tell when another vehicle’s brakes might go out completely or over-worn tires could blow out, causing a dangerous accident. You also have no way of knowing whether the drivers in the vehicles around you are alert, sober, and undistracted. The risk of getting in a crash is high. If you have been in a collision as a result of someone else’s negligence, contact The Gutierrez Firm. Jorge P. Gutierrez Jr. is a Board Certified Civil Trial Lawyer with the experience in obtaining maximum compensation for clients with auto accident claims. A look at national statistics on motor vehicle crashes provides a clear picture of the increasing risks taken when driving in traffic.Anyone might get into a crash at any point in time and need representation of The Gutierrez Firm. In 2015, there was a 50-year high, as far as the increase in the number of traffic fatalities as compared to the prior year. Up 7.2% from 2014 traffic fatalities, a total of 35,092 people in the U.S. died on our roadways in 2015. The following are statistics related to police-reported crashes: 32,166 fatal crashes; about 1.7 million injury crashes; 4.5 million property damage only crashes; and approximately 6.3 million total crashes. Types of fatalities listed by the NHTSA include: Distraction-affected fatalities; unrestrained passenger vehicle occupant fatalities; alcohol-impaired driving fatalities; speeding-related fatalities; and drowsy driving fatalities. Total alcohol-impaired fatalities in Florida alone in 2015 are: 2,939, which is an increase of 445, as compared with the previous year. How The Gutierrez Firm Can HelpYour life can be changed in an instant, as a result of the carelessness of another motorist. Auto accident victims are often left with medical bills, transportation problems, and injuries, including serious and permanent injuries. Identify all defendants in the case and their insurance coverage. Handle all dealings with insurance companies, so that you don’t have to. Gather such documentation as police reports, lost wage information, and medical records. Document all of your damages while staying apprised of your medical condition and medical care received. Build a strategy to prove why the defendant in the case is liable for your damages. Provide you with helpful counsel and recommendations that allow you to make informed decisions in connection with your claim. If you have been in an auto accident and need legal representation, contact Jorge P. Gutierrez Jr. at The Gutierrez Firm today.